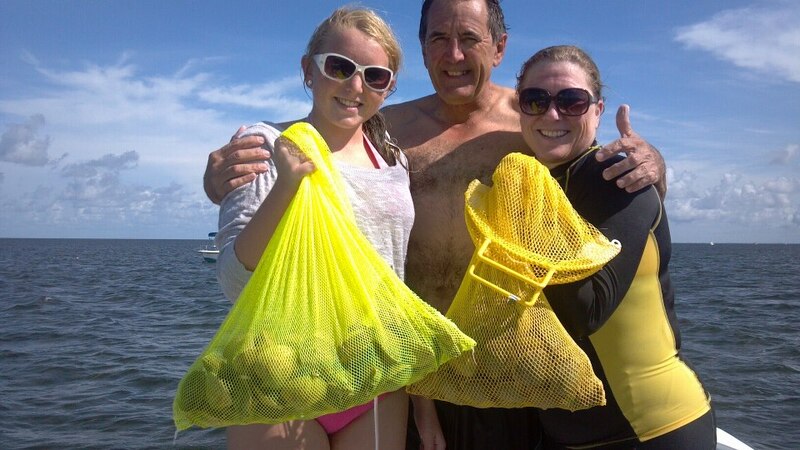 A happy family from last weeks scallop charter. The season is open to the 25th of Sept. If you like to go visit are website www.homosassascallopingcharters.com and book your charter now and ask about are Septembers special deals.